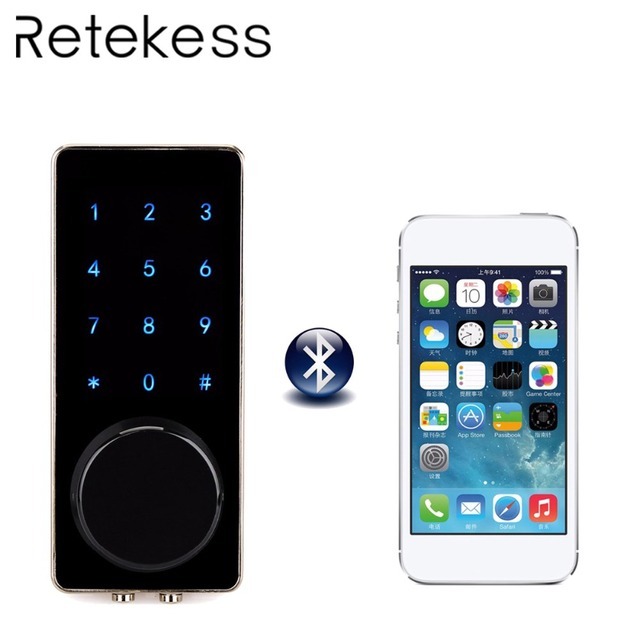 Your smartphone is now a smart key—and more. Lock and unlock your door, create virtual keys for guests, and keep track of who comes and goes, all from your iOS or Android smartphone. 1. 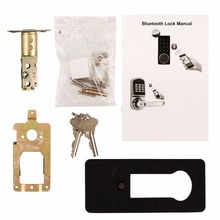 Admin Bluetooth key: Mobile phone and door lock connected, the Bluetooth lock unlocks with Bluetooth via the app. 2. 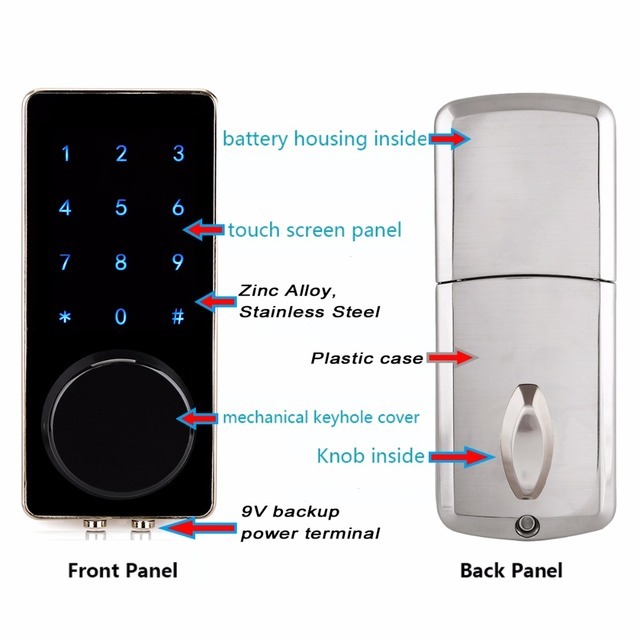 Admin Password: Mobile phone and door lock connected, the Bluetooth lock unlocks with a permanent Master code. 3. Bluetooth key remote authorization: The Admin can instantly send Bluetooth keys to other people’s mobile phone APP, It can limit the use time of the Bluetooth key, and can immediately freeze, thaw and delete the electronic key. 4. 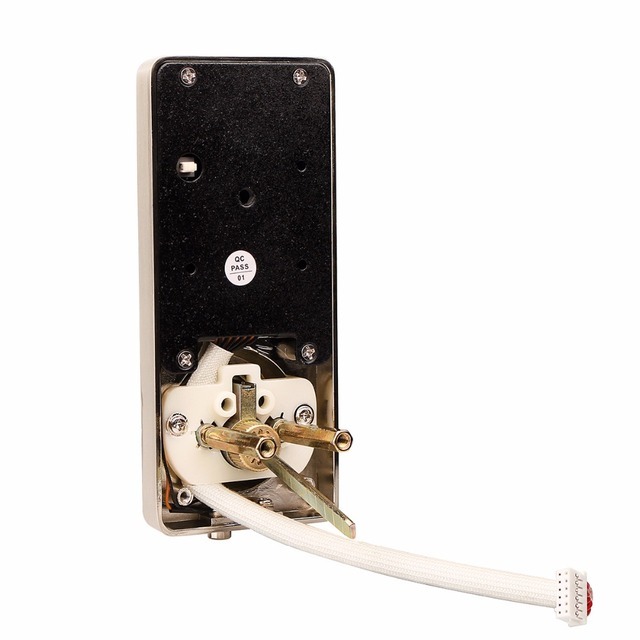 Password remote authorization: The door lock can send a permanent password and a limited time password in the absence of networking. 5. Password protection: The smart lock will automatically locked for 5 minutes when the wrong password is entered 5 times, You can enter any number of digits before the correct password, make sure the last few digits are the correct password can be unlocked. 6. 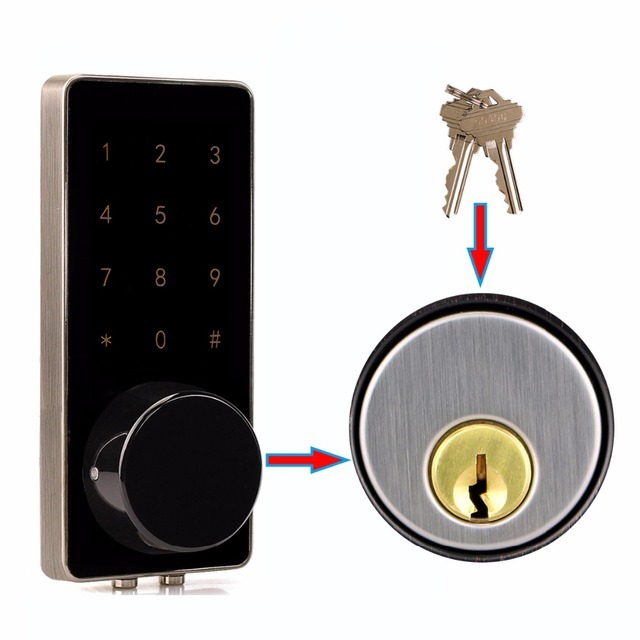 Automatically locked: Can be set to automatically locked between 5 to 120 seconds after unlocking. 7. General lock: Press and hold”#”about 5seconds. 9. 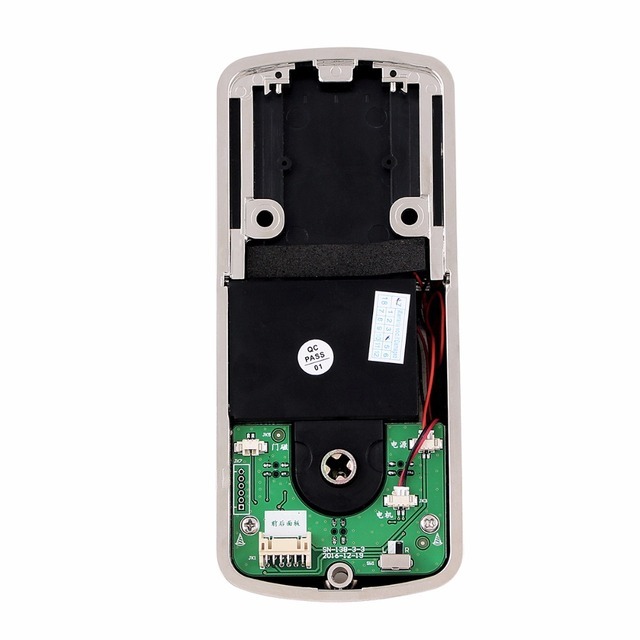 Lower Battery Indicator: When battery power is low, the Bluetooth lock will emit low battery warning sound. The battery level will also be updated on the app during Bluetooth unlock. If battery power runs out, use 9V backup battery or mechanical key. 10. Real time monitoring: When users use app or password to unlock，the Admin can find unlock records on APP. 11. 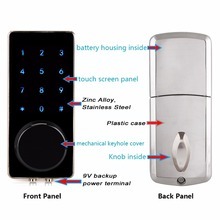 Real-time reminder: Mobile phone and door lock connected, click message on the upper right corner of the interface, you can query the record of received Bluetooth key and more user information. 1. Aliexpress accept Escrow/ Credit card/ / Money Booker ! such as Visa,WebMoney (referred to as WM), TT remittances, Western Union, Qiwi wallet, Brazil Boleto and so on. 2. Full payment must be received within 7 working days after the auction ends, if you have problems on making payment, Please contact us as soon as possible. 1. This item is covered by one year warranty. If you`re not pleased with your purchase, we`ll be happy to make an exchange or refund in 7 days. 2. For any exchange or refund, we need the product must be in its original condition, including the box, and all the accessories. Buyers is responsible for the returning shipping cost .